Joe Flatman, author of the award-winning book ‘Becoming an archaeologist: a guide to professional pathways’, tell us his 10 top tips for getting into archaeology. 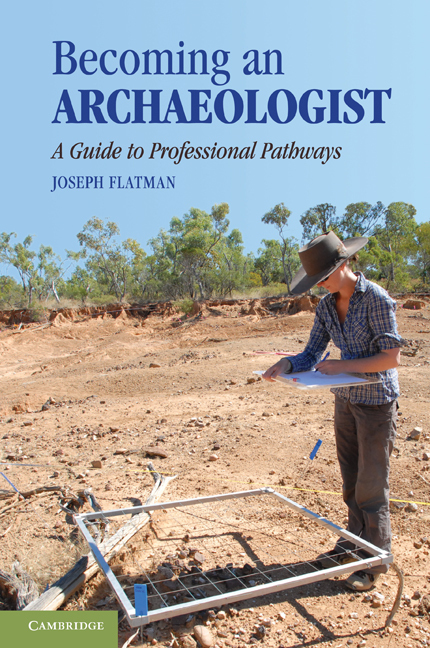 Archaeology offers tremendous opportunities for involvement, whether a lifelong interest alongside another career, or a career in itself. It is never too early or too late to become involved in archaeology, and archaeology transcends borders, cultures, languages and social and economic divisions. Anyone anywhere can become involved in archaeology if they wish, and the opportunities to become involved improve all the time. The best way to get involved in archaeology is to find out what opportunities for participation are available in your own neighbourhood, through your local archaeology or history society or club, national organisations or local government, schools or universities.There are talks, walks, guides and events on nearly every week around the world; there are also hundreds of opportunities every year to go on more formal training in archaeological techniques and so become involved in actual fieldwork. Many of these events are free; even the ones that charge are rarely all that expensive. Archaeologists are well aware that people don’t have that much money to spare and fight to keep costs of events down. Almost all events are advertised online.Membership of local or national archaeology organizations is similarly cheap and extremely good value. Membership brings you into contact with likeminded people in your neighbourhood and provides access to information and resources like newsletters and magazines, events and even library facilities.